Posted June 15th, 2015 at 3:26 pm. Bryn Mawr’s Emily Balch Speaker Series for first-year students is once again bringing a highly celebrated author to campus. 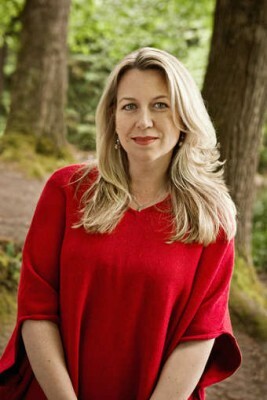 The 2015-16 speaker is Cheryl Strayed, whose memoir Wild was a #1 New York Times best-seller and made into a major motion picture. Wild was also chosen by Oprah Winfrey as her first selection for Oprah’s Book Club 2.0; named a best nonfiction book 0f 2012 by The Boston Globe and Entertainment Weekly; and named a best book of the year by NPR, the St. Louis Dispatch, and Vogue. Strayed will be visiting campus on Oct. 8, 2015. In addition to Wild, Strayed is the author of the the best-selling advice essay collection Tiny Beautiful Things, the novel Torch, and the forthcoming quotes collection, Brave Enough. Her books have been translated into 37 languages around the world. Strayed’s essays have been published in The Best American Essays, The New York Times, The Washington Post Magazine, Vogue, Salon, The Sun, Tin House, and elsewhere. She is the co-host, along with Steve Almond, of the WBUR podcast Dear Sugar Radio, which originated with her popular Dear Sugar advice column on The Rumpus. Strayed holds an MFA in fiction writing from Syracuse University and a bachelor’s degree from the University of Minnesota. The Emily Balch Speaker Series is linked to the Emily Balch Seminars, which are discussion-oriented, reading- and writing-intensive courses for first-year Bryn Mawr students. Taught by scholar/teachers of distinction within their fields and across academic disciplines, Balch Seminars challenge students to think about complex, wide-ranging issues from a variety of perspectives. Past speakers have included Alison Bechdel, Karen Russell, Zadie Smith, and Elizabeth Kolbert.